Studies show that preschool is one of the most influential times in a child’s development. Preschool is essential in helping kids grow in their socialization skills, as well as beginning to grow a necessary foundation in math and literacy. All of preschool is designedto help children grow, and especially help their school readiness for kindergarten and beyond. Kindergarten will be here before you know it, so whether your child is four months old or four years old, it’s important to know some critical milestones to hit before starting the next chapter in their lives. Reading is an extraordinary skill, and one that takes years of development. By the time a student enters kindergarten, it’s OK if they are unable to read or spell yet. However, understanding how print works will put your child at a huge advantage for kindergarten. Knowing how a book is held, and knowing that print goes from left to right, top to bottom might not seem like much, but it is a great skill to have. A preschooler who draws squiggly lines to pretend to write is also demonstrating excellent print awareness, because they understand that writing can represent words. As adults, we can easily forget that we didn’t always know how to hold a book! Having a knack for print awareness shows that your child is a step further in learning how to read. Point to words as you read aloud to your child or ask them to point with you for an easy way to continue implementing this skill. In addition to knowing the orientation of print, recognizing letters is possibly one of the best ways your child can be prepared for kindergarten. Even if students don’t recognize every letter, the more they can recognize, the better. Students who enter kindergarten with even some letter recognition are going to jump into reading sooner, which will put them at such an advantage for school as a whole. Literacy is necessary for every subject, so their foundational knowledge in every content area will continue to grow. If your child is not there yet, they will be! Don’t worry about rushing the reading process, a journey that is as long as it is ornate. Play letter games with your child (like a letter scavenger hunt), practice spotting letters during bedtime stories or on a car ride, or try any number of ways to help them develop letter recognition. Before kindergarten, four-year olds should have some foundational knowledge of how time works. Knowing the days of the week, the seasons, and months will be highly advantageous to starting elementary school. If your child can’t tell time yet, no problem. In fact, many schools start addressing how to read and tell time in first grade. 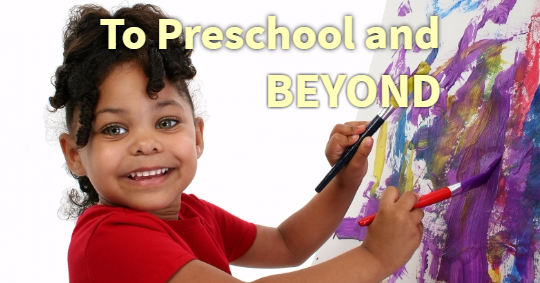 Going to preschool is a fabulous way to help students get ahead, as appropriate time concepts are routinely addressed. Check in with The Cary School to get your child on the best path of education. Your child’s development is as unique and special as they are. While all of these milestones are important, they serve as a general guideline. Some children have lower print recognition skills, but can count past twenty. Others might excel in the arts, but struggle with reading. At The Cary School, we believe in celebrating the talents your child already has, as well as providing the specialized attention your child needs. Contact us to ensure your child’s academic journey is a successful one!